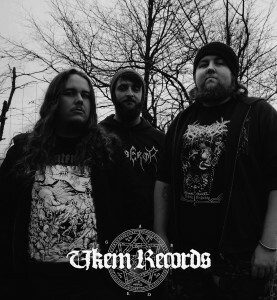 I am very pleased to welcome to the UKEM Records roster black metal band Deadwood-Lake !!! The band are relative newcomers to the UK extreme metal scene but have set about gaining a very impressive reputation both through the bands two e.ps and one full length album and intense live performances. Those familiar with the band will know the tragic circumstances under which the band was formed with the brother of Bruce (Bass/Vocals) being killed in a car accident and with this being the focus of the band’s lyrics and music. Having lost a brother myself to a motorbike accident, I can relate to the band on all levels so it’s great to get them on board!! With another black metal band joining the roster, Deadwood Lake have strengthened what the label already has to offer and will represent the label well through numerous planned live performances, one of which is Warhorns Festival 2019 where they will join fellow label mates Agrona!!! Here’s to an exciting 2019!! !